Our Whimsical Swirls postcard design template has a quirky appeal that will showcase what makes your business stand out from the rest. Crafted by a professional graphic designer, Whimsical Swirls is ideal for restaurants, bistros, florists, or any fun-based retail business. The front features a full-sized image with a shaded colorful overlay on the left that you can use for your custom text message, company name, website URL, or anything you want. The back features the same color field on the left side with ample space for your headline, messages, company information, and call to action, as well as spaces for four additional images. One of those images carries over onto the right side which is the traditional postcard address field. Whimsical Swirls is available in four different color schemes and two edge finishes. 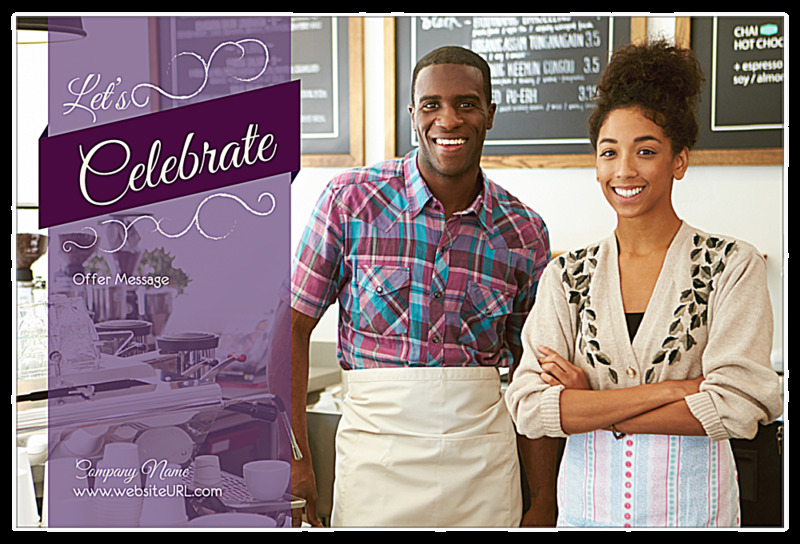 Customize your postcard design with our online postcard maker today! Our online postcard design tool makes it easy to print custom postcards. Just select your template from the design library, then choose the color scheme that goes with your brand. 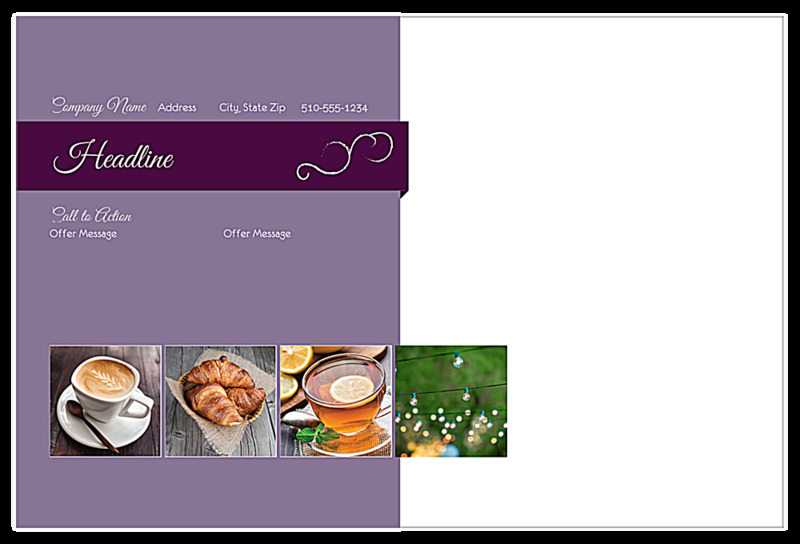 The intuitive interface walks you through the process of adding your images and custom text design elements. When you’re done creating your postcard design, you can generate a free PDF to share with friends and colleagues before you print. Looking for amazing postcards at affordable pricing and great value? PsPrint is the perfect print partner for you! Each postcard is printed on state-of-the art printing presses with premium paper stock and vivid, soy-based inks. And, best of all, your postcard printing project is backed by our 100% customer satisfaction guarantee! Check out PsPrint’s full line of marketing products and business essentials. And don’t forget we’re your one-stop postcard shop, with in-house mailing services to save you time and money!